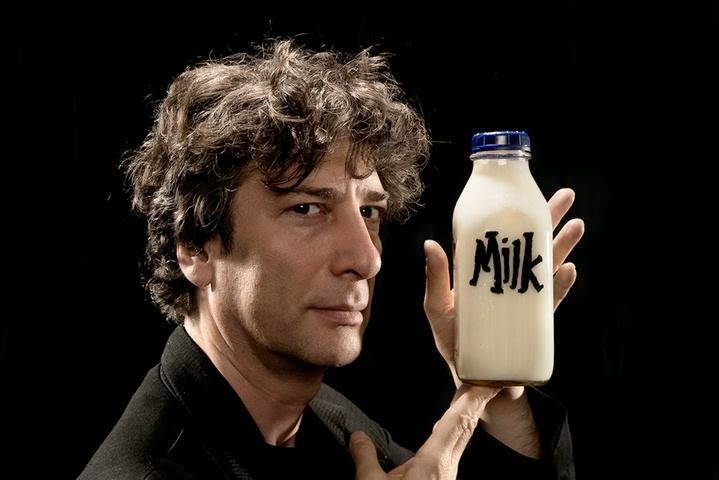 Written by one of my favorite authors, Neil Gaiman, Fortunately, the Milk was one of the cutest stories I've read in a very long time. The subject matter is actually a very simple one: mom goes away for a conference, two siblings are left with their dad. When he sees there's no milk for breakfast (for children's cereal, but more importantly, for his tea, and Neil himself according to the illustrations-- the resemblance is uncanny! ), he goes to the shop to get some. The siblings wait and wait... No milk, no dad for a long time. When he gets back home, they question him about why he took so long. That's when the real adventure starts. Apparently, it didn't take the dad long to get the milk, but on his way back home, the flying object he sees in the sky takes him away. While time traveling, he meets a dinosaur, wumpires, pirates and much, much more. He was lucky all the way through because fortunately, the milk was in his possession at all times. 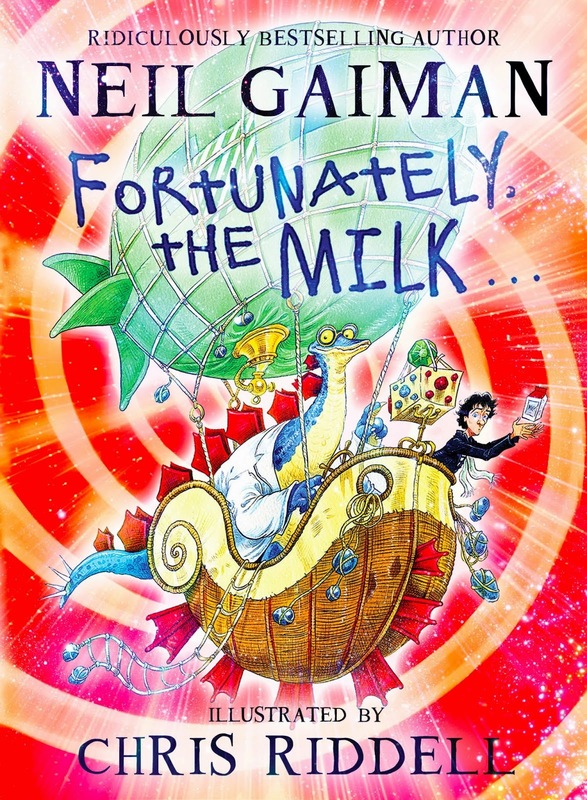 Chris Riddell's illustrations are just as weird and colorful as Neil's story (and what a fun last name he has!). Even though it's targeted at children, I'm sure adults will get a kick out of it as well. Leah has been running for so long that it's a surprise when she is back in Lucky Harbor due to her grandmother needing her help. Leah has always had a thing for Jack Harper but will he realize he loves her too? I love watching Leah grow and accept the fact that her father isn't there anymore to brow beat her with how much a failure she is, or how he created a anxiety ridden woman. Jack Harper is taking care of his mother Dee as she recovers from Cancer, Jack is also drowning in his work and he notices Leah is around but doesn't want to get his heart broken again like that last time. When Leah tells Dee that Jack and Leah are a couple how far will the fake couple go to make it look real? And when does the fantasy turn into reality? This book was great full of so much reading about firefighters and the investigation into an arson and find out who it was. Also reading about Leah and the reality food show she was on and how that ended. 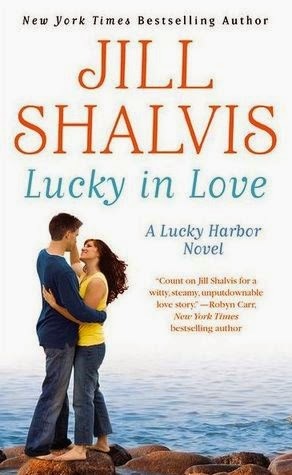 It was a fabulous story which makes me glad to go back to Lucky Harbor over and over again! The fact that the word "peculiar" is in the title and the cover photo ic as creepy as it is made me want to read this book right away. It was a very, very exciting start for me, but then it didn't blow my mind like I expected it to. Do I regret reading it, though? Absolutely not. 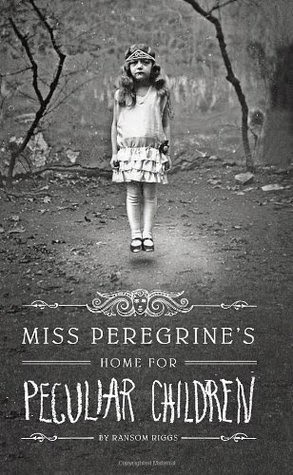 Shatter Me author Tahereh Mafi's husband Random Riggs' Miss Peregrine's Home for Peculiar Children is the story of Jacob, who discovers that all the weird stories his grandfather told hiö growing up are real. Due to curiosity and regret for not believing his grandfather when he was alive, Jacob finds himself on the island he heard so much about. When he finds the orphanage (as in, the home for peculiar children), he meets the peculiar children, finds out how and why they're peculiar and also finds out that he himself is one of them. I must admit, however, that if it weren't for the photographs the author collected over the years, I'd just say "oh, well" and move on from this series. The photos really do add a lot to the story, which made me think of the differences between written word and visual imagery, how they differ in making you go through different emotions. Almost all the photos that are in the book are first described by Jacob, yet when I turned the page and saw the actual photographs, they were a lot more different than what I had pictured in my head. 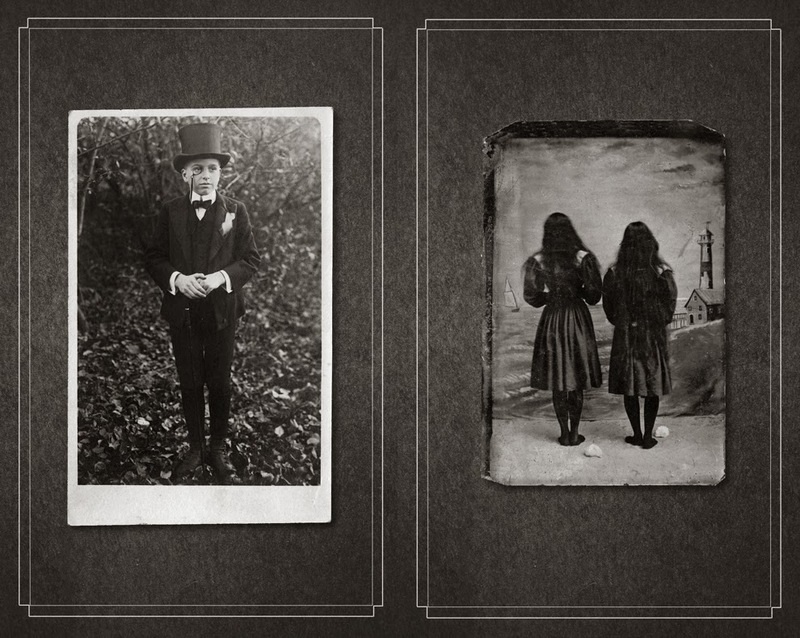 I really liked Ransom Riggs's imagination. I thought his storytelling could be a bit better, but that doesn't stop me from wondering what's going on in the second book of the series. I haven't much thought about what might happen next, really, but I'm very, very curious to see what other weird pictures there are in it. P.S. Turns out Tim Burton really liked the book, and he's making it into a movie (with Johnny Depp, of course), which will come out in 2015, if IMDB is telling the truth. This follows the story of Grace Brooks who comes from a family of achievers. She is trying to find her passion in Lucky Harbor in the meantime she's taking part time jobs to help her crippled bank account. Dr. Josh Scott has a full house taking care of his sister who's wheelchair bound after a horrible car accident that killed their parents. Also taking care of his son Toby and Toby's dog Tank. Is there room in Dr. Scott's life for Grace? This book was a great adventure full of all sorts of things popping up. Like Grace helping Josh's sister try to figure out what to do with her life, and helping Toby find the mom he desperatly wants. Showing Josh how to find a way to make life work along with work! Amy Michaels has had a hard life running away most of her teen years and trying to stay ahead of the trouble that always seems to find her. Finally in Lucky Harbor she has found friends, and neighbors that care, when she interacts with the forest ranger will he be enough to tame her? Matt Bowers has left his life in Chicago where it all fell apart and works in the forest in Lucky Harbor. He finds himself attracted to Amy but will she ever give him a chance? This book follows Mallory Quinn who has been known as the good girl, having bad relationships with dull men. When a snow storm brings her Ty Garrison more commonly known in Lucky Harbor as the mysterious cute guy. Could Ty be what Mallory needs? Ty Garrison has lots of issues and he's recovering in Lucky Harbor hoping to leave soon, and go back to what he does work wise, but has the town of Lucky Harbor claimed him as a new resident? Ty is adamant time and again that Lucky Harbor is only temporary, but will he keep that when Lucky Harbor has enveloped him in the warmness he's found there? 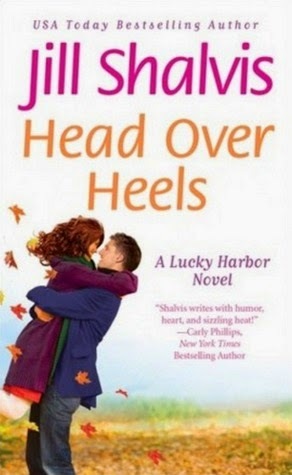 I just love Jill's writing style and her ability to weave great stories with a lovable town and characters. I especially love the Facebook updates to Lucky Harbor they are too funny. Almost makes you wish it was real so you could see what is being said about them. I have been a fan since book one and with each book it gets better you get to learn more depth about the people of Lucky Harbor. I loved watching Mallory grow from wishy washy to a strong independent woman who spoke her mind regardless of who she hurt in the process. How she fought tooth and nail for HSC so people could have a clinic to go to unlike what happened to her sister. It was a great read! 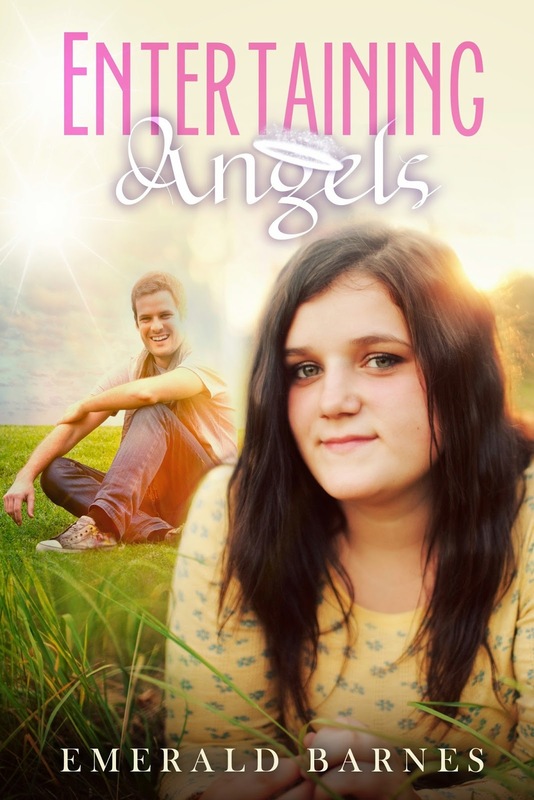 I am super thrilled to show you the beautiful cover for my newest and upcoming novel, Entertaining Angels. Again, my cover artist was Natasha Brown, and she is super talented. She brought my disjointed vision to life, and I don't think I'll ever be able to thank her properly. I can't wait to publish it, which I'm hoping will be in May. That's what I'm estimating anyway. But, I couldn't wait any longer to show you my beautiful cover! Madison Andrews canít face her reflection in the mirror. All she sees is a big, fat nobody. Yet, deep inside she longs for something more, something thatís not skin deep. Along comes Zach, the new guy in school. Heís smoking hot and totally out of her league. She somehow catches his eye, and he makes her feel beautiful for once. But just as she gets close to Zach, her nerdy best friend, Chase, wonít let Madison doubt her true beauty, no matter how many meals she skips. She mainly writes suspense/thrillers in the YA genre, but she dabbles in other genres and her books are enjoyed by all ages! She's constantly working on new novels and has more ideas than she knows what to do with. 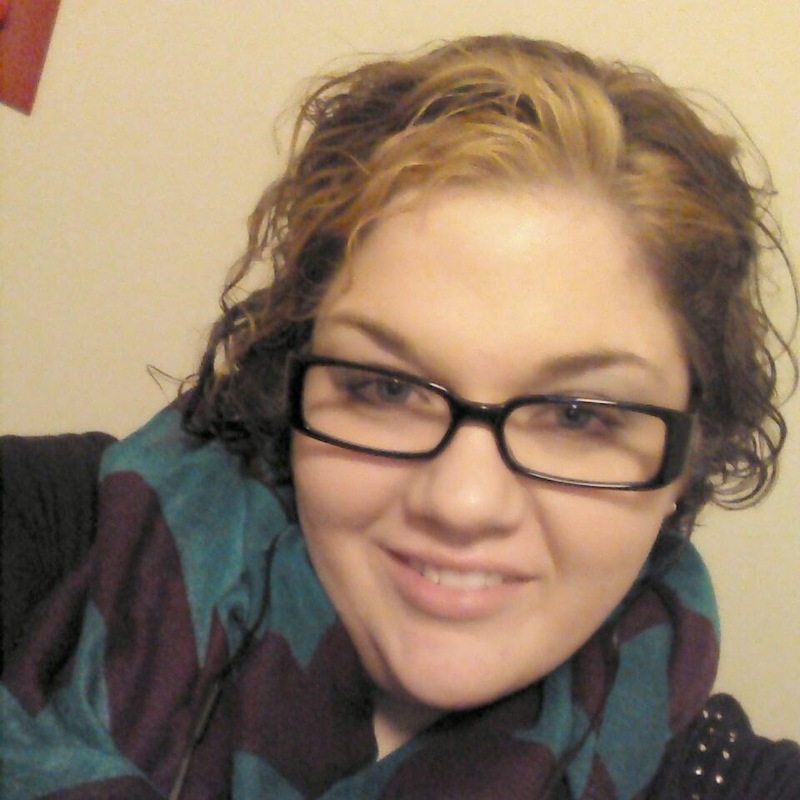 She blogs which takes up more of her time than she anticipates but loves it so very much! She's also a volunteer at the World Literary Cafe which is amazing, and she is a crazy grammar nazi who proofreads novels! She's an auntie to three beautiful nieces and two handsome nephews who take up the other half of her time, but she couldn't imagine spending her time in any other way! This book follows wild child Chloe who is trying to find her place in Lucky Harbor. She is a third owner of the local inn with her sisters and has fun driving the local sheriff nuts but is she good enough for him? Sawyer the local sheriff is trying to make amends for what he did as a youth, but can the bad boy get a good girl? This book had so much going on between Chloe's relationships with her sisters, and Sawyer's relationship with his father, but something about each other sparks something in them. Watching Chloe get what her sister's have was great to watch. The sad part in this was watching Chloe's friend and seeing how Chloe handled it.